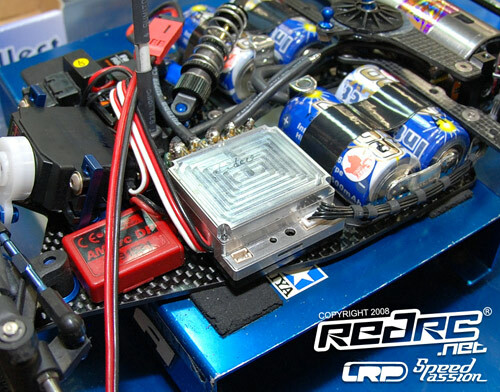 The cars have finally hit the track here in Thailand marking the start of the 2008 IFMAR World Championships and as predicted it was Atsushi Hara and his Hot Bodies that posted the fastest lap time from fellow Cyclone 12X driver Hideo Kitazawa. Hara produced a best lap time of 12.931 compared with Kitazawa’s 12.964 despite reporting his car as being a little twitchy. Planning some small changes for the next outing, the Japanese ace said track conditions this morning were not very good, as a result of yesterday’s rain, but that it should improve during the day. Running a new prototype speedo from Futaba, set for a release early next year, Kitazawa said his car was lacking a little on rear grip but was confident he could match the pace of Hara. 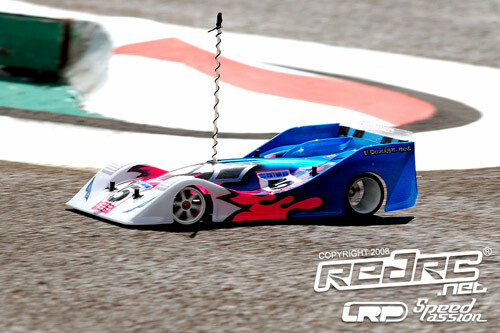 Jilles Groskamp was the only other driver to break in to the 12 second lap times despite not finishing his run after a problem with his front steering which was caused by a loose screw. Having spent all day yesterday building a brand new CRC chassis for the event the Dutch driver was surprised at how good the car felt first time out. Fourth fastest in terms of lap times, with a 13.118, was young Yokomo star Naoto Matsukura followed by Marc Rheinard and Andy Moore. European 1:12 Champion Rheinard (13.125) is suffering with an understeering which is resulting in it being ‘edgy’ to drive. The German will soften the front springs in an attempt to improve the feel of the car but will also change the T-Bar on his Cyclone 12X. Moore (13.194) also suffered similar handling finding his car very aggressive on turn in. The current Touring Car World Champion, who chunked a tyre during the run, will run a softer front end which should settle the car. 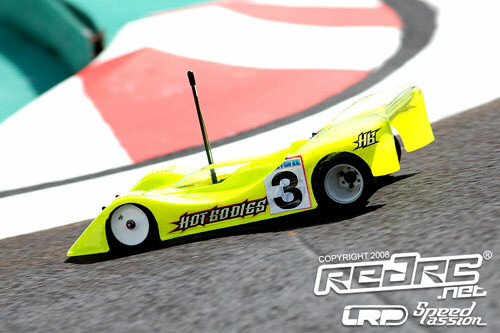 1:12 scale debutants Xray had a promising first run with flying Finn Teemu Leino producing the seventh fastest lap time (13.270) at the controls of the prototype XII. Leino reported the run as being OK but said on asphalt the key factor was going to be having the right tyres. Completing the Top 10 it was Surikan, Hupo Honigl and Juho Levanan.